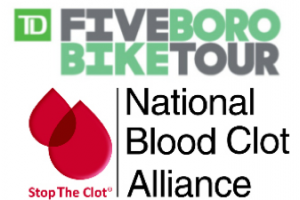 February 22, 2010, Tarrytown, NY – The National Blood Clot Alliance (NBCA) announced today the official launch of its Stop The Clot® Facebook page. The page is available online by clicking here. 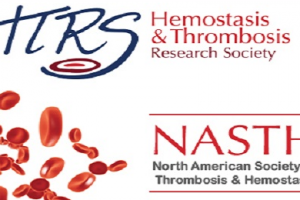 The page provides information on blood clots and clotting disorders, updates on regional meetings and events, as well as real-life patient experiences with these potentially devastating conditions. Up to 650,000 Americans suffer from dangerous blood clots called deep vein thrombosis (DVT) each year. If these clots dislodge, they can travel to the lungs and cause a blockage known as a pulmonary embolism (PE), which can be fatal. In fact, almost one-third of people that suffer a PE do not survive, totaling over 100,000 each year. “There is a huge need for education on how to prevent, recognize and treat blood clots, and the new Stop The Clot Facebook page will help us reach people across the United States with important information that could save lives,” said NBCA CEO Alan P. Brownstein. Individuals looking for more information on blood clots, as well as those that have experienced DVT or PE are encouraged to join the Stop The Clot Facebook page to receive regular updates on upcoming NBCA events, details on blood clot signs, symptoms, treatment and coping with clotting disorders, stories from blood clot survivors and much more. “As a DVT and PE survivor, I think it’s great to have an interactive resource for information on blood clots and how to become involved in upcoming NBCA events on Facebook – I’ve joined the Stop The Clot page and am suggesting it to all of my friends and family to help increase awareness about blood clots,” said Kelly Hogan, 27. Visit http://www.facebook.com/pages/Stop-the-Clot/452769525292 to join the Stop The Clot Facebook page or https://www.stoptheclot.org for more information on NBCA, blood clots and clotting disorders. The National Blood Clot Alliance (NBCA) is a patient-led advocacy organization providing patient education and professional training on the signs, symptoms and prevention of blood clots and clotting disorders. The mission of NBCA is to prevent, diagnose and treat thrombosis and thrombophilia through research, education, support and advocacy. NBCA combines the unique perspectives of healthcare providers, individuals afflicted with clotting disorders and community leaders who are passionate about this healthcare crisis. NBCA’s Medical and Scientific Advisory Board includes nationally recognized experts on thrombosis and thrombophilia. 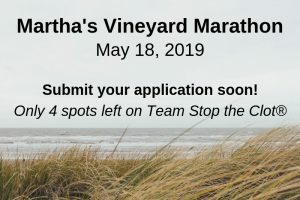 Visit https://www.stoptheclot.org for more information. Click here to visit our news section.